What is a database search? 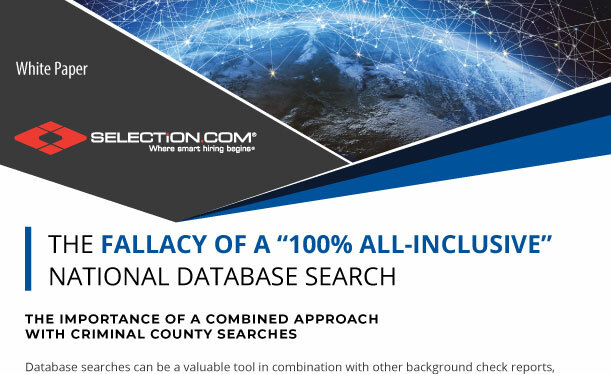 Database searches can be a valuable tool in combination with other background check reports, but it’s important to note that they are not a 100% all-inclusive national criminal history report. If your current background check provider claims that their database has ALL counties in the United States, think again. We will outline facts that debunk this common misconception. What is a county search? Would you like to subscribe to our newsletter for important annoucements and industry news? Thank you %NAME% for requesting a download of our white paper.